Nancy Shirley Allen of Chester, NE the daughter of Thomas and Helda (Meinert) Smith was born January 20, 1954 in New York, NY. She departed this life Wednesday, November 14, 2018 at Lancaster Rehabilitation Center in Lincoln, NE at the age of 64 years.Nancy grew up in the New York and Chicago area attending school. She moved to Chicago before moving to Las Vegas where she married Richard Allen. Her and Richard had no children of their own but raised nine foster children. In Vegas she was a Retail Manager at the Flamingo Cassino. In 2007 the couple retired and moved to Chester, NE where she was involved in the senior center and meals on wheels. She enjoyed crocheting, reading, and being home with her husband. 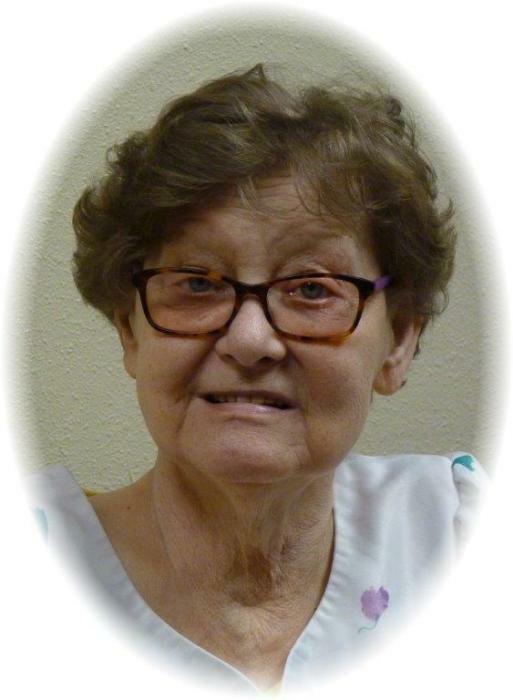 She was a member of Sacred Heart Catholic Church in Hebron. She is preceded in death by her husband Richard in 2009, and one sister Carol Boettjer. She is survived by brothers Fred Smith and wife Pauline of Atlanta, GA, Tom Smith on Cheyenne, WY, sister Lottie Smith of Las Vegas, NV, and aunt Anna Mae and husband Bill of New Orleans, LA, nieces, nephews and friends. Following Nancy’s wishes she was cremated. Mass of the Christian Burial will be Monday, November 19, 2018 at Sacred Heart Catholic Church in Hebron, NE at 10AM. Officiant will be Father Rudy Oborny, acolytes Roger Retzlaff, and Leland Weber, reader Jeanette Else, organist Carlece Kenner, cantor Robin Timmermans, congregational hymns “Here I Am Precious Lord”, How Great Thou Art”, condolences may be left at www.krollfh.com. Inurnment will be in the church cemetery. No visitation Cremation. Kroll Funeral Home of Hebron, NE is in charge of arrangements.